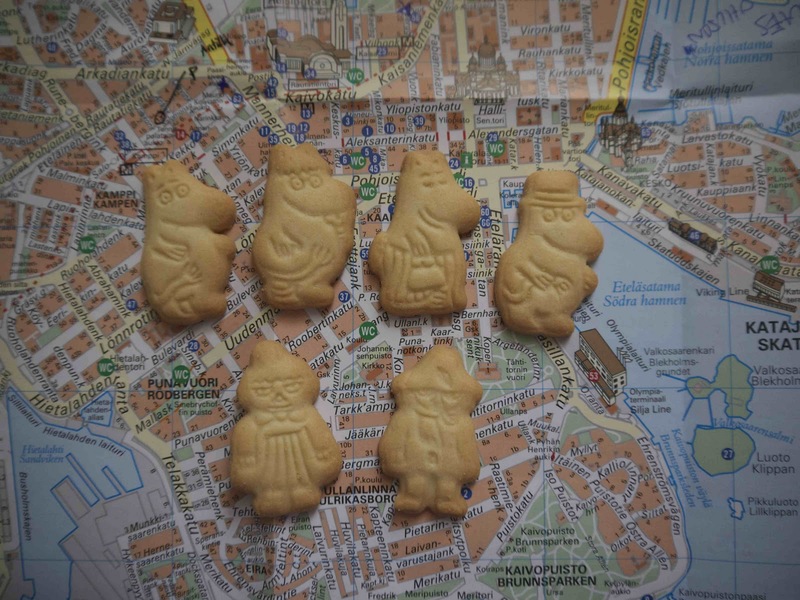 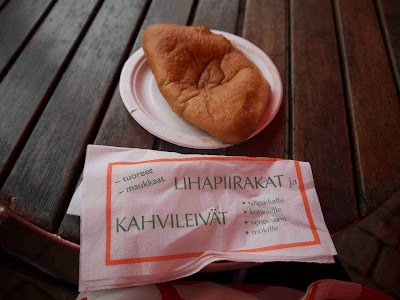 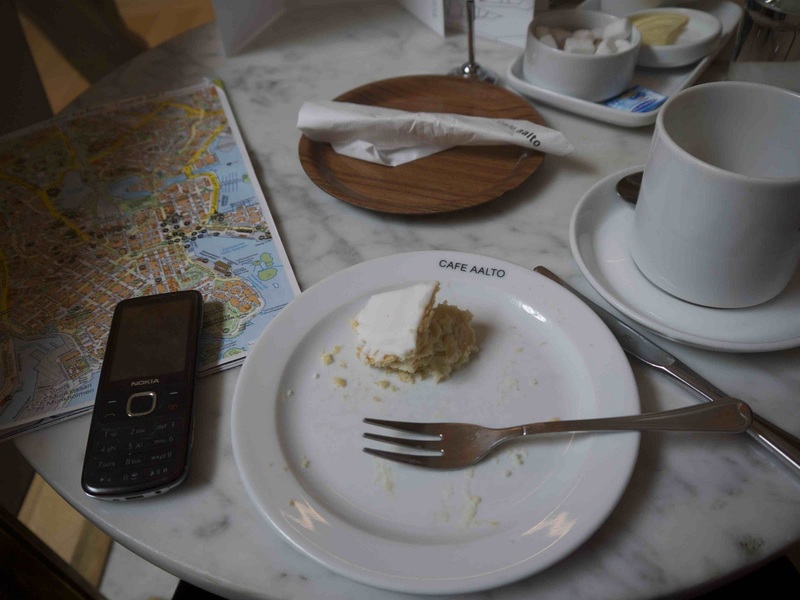 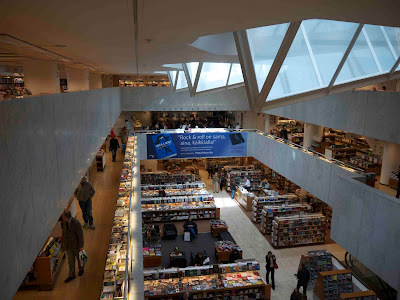 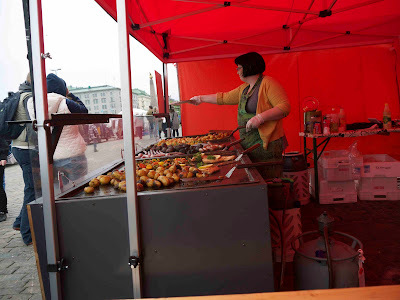 Some pics of food in Helsinki - when I remembered to take them! 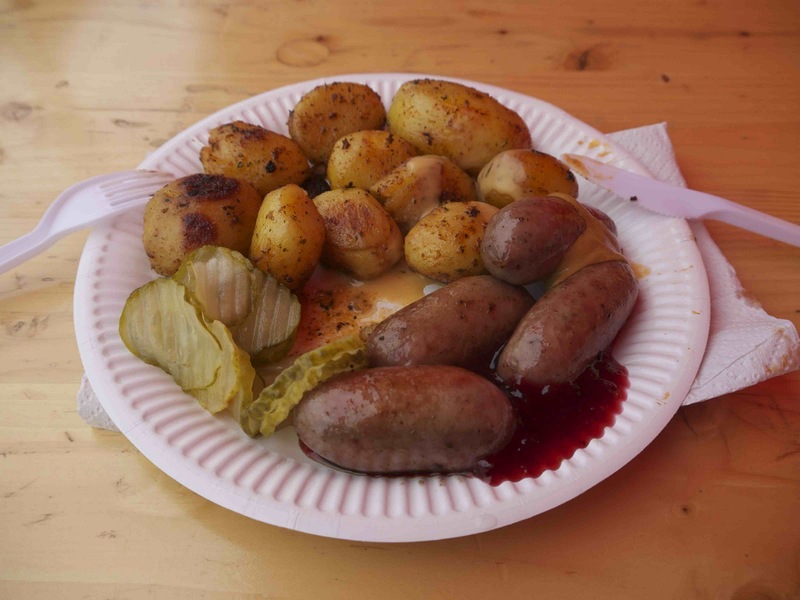 From the same market, here are some reindeer sausages and barbecued potatoes with gherkins and a sauce that's a bit like the IKEA lingonberry stuff on the side. 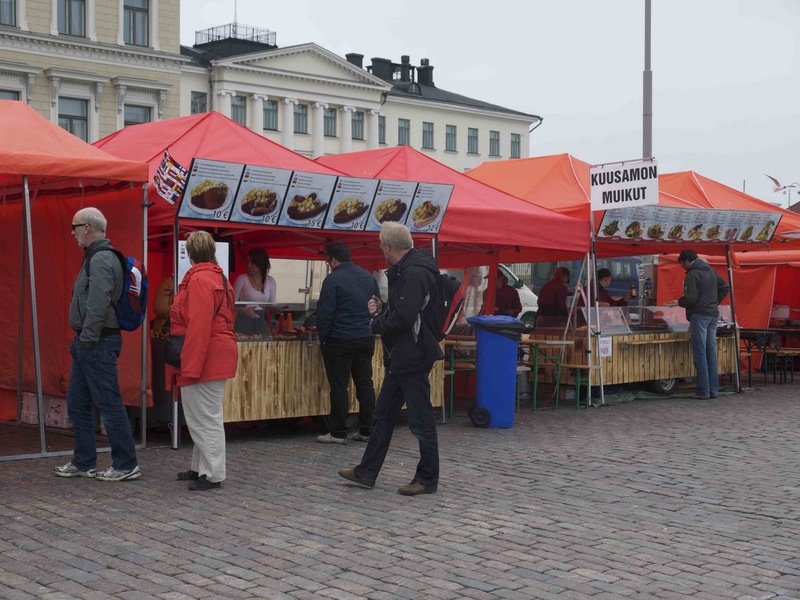 and the market tents with pictures of their offerings. There was a whole string of these with different types of foods - mostly sausages and some fishy things that didn't smell appetising to me! 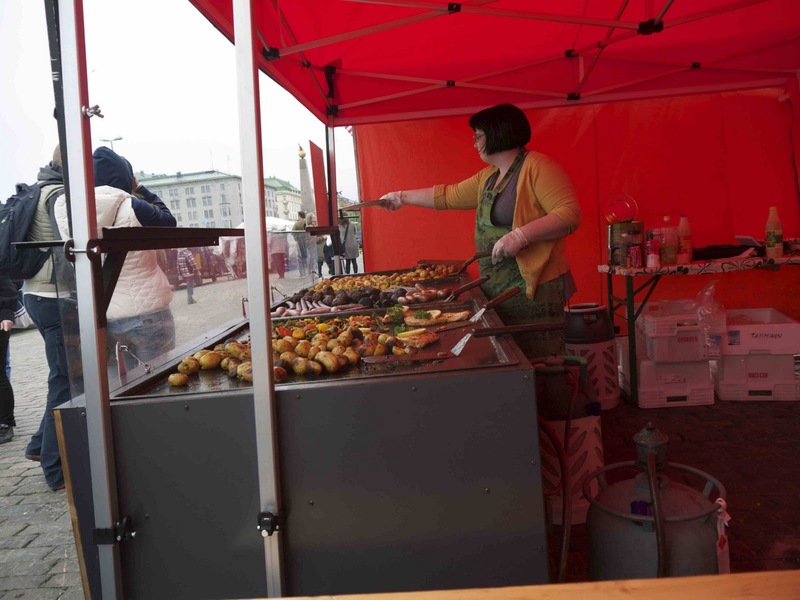 Other tents were selling souveneirs and also fresh fruit and veg and fish. 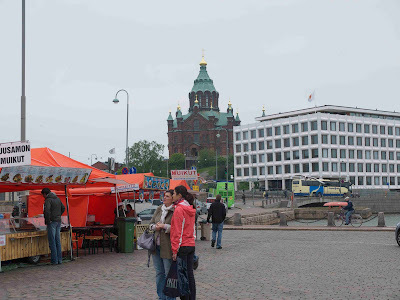 This is the main touristy area of Helsinki...the ferries that go to islands leave from here and Uspenski Cathedral is just up the hill.